Q101) All are precancerous for oral cancers except? Q102) After vagotomy, minimum how long time does it take for carcinoma to develop ? Q107) All are true about tropical pancreatitis except? b. Patients have large stones with fibrosis. Squamous cell carcinoma is the most common tumor of the oral cavity. Majority of the oral cancers are due to tobacco and alcohol and not associated with premalignant conditions. (DLE) Discoid lupus erythematosus is a chronic skin condition of sores with inflammation and scarring favoring the face, ears, and scalp and at times on other body areas. Vagotomy and drainage procedures have been shown to be independent risk factors for carcinoma stomach. Increased risk is 4 times than the general population. Highly selective vagotomy is not asssociated with malignancy risk. 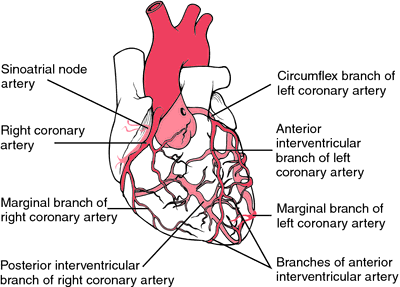 Coronary arteries originate from ascending aorta, above the aortic valves from the aortic sinuses. Right coronary artery passes between the right atrial appendage and pulmonary trunk in the atrio ventricular septum and continues as posterior descending artery or interventricular artery. It gives off the SA as well as AV nodal arteries and also gives off marginal branches. Minimally invasive surgery are done to decrease stress and postoperative pain and morbidity. Afferent block done to reduce postoperative pain and increase early mobilisation. Fullen II injuries are approached via lesser sac. Troponin I - Most sensitive and specific, peaks with in 9 hours. Troponin I is extremely specific for the cardiac muscle and has not been isolated from the skeletal muscle. The only disadvantage of cTn is the late clearance that makes it difficult to identify a recurrent myocardial infarction.